According to preliminary calculations, at least 26 members of The Church of Almighty God were arrested during an operation that the authorities implemented in this city of Shaanxi Province in mid-September. Provincial and municipal state security departments jointly organized the arrest operation of the members of The Church of Almighty God, a Chinese Christian new religious movement, in Xi’an and executed it throughout the city, sources inside the Chinese Communist Party said. 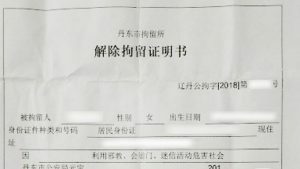 On September 17, three CAG members from the eastern part of Xi’an were arrested after the police had tracked them and ascertained their residences. About 20 police officers were deployed that day in the preparations for arrests. A church member from the same area was arrested two days later, and her home raided the next morning. 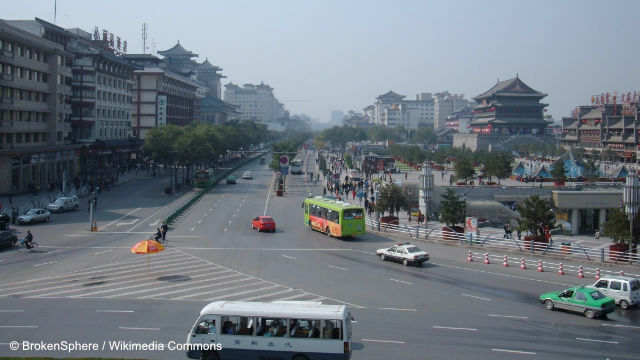 On September 18, six believers were taken into custody in a western suburb of Xi’an. The police confiscated approximately 8,000 RMB (about 1,150 USD) in cash and a bank card worth 8,500 RMB (about 1,220 USD). Three CAG leaders and 13 believers were arrested after the police had been following them in the north of the city. The police also seized ten high-end desktop computers (each computer worth over 10,000 RMB or about 1,440 USD) and 70,000 RMB of cash (about 10,080 USD). The whereabouts of the 26 arrested remain unknown to date. As per some sources, more CAG members and leaders were detained in other areas of the city, but this information could not be verified yet.